When others’ negligence harms you, you need an experienced lawyer on your side, helping you build the strongest possible case while guiding you to the best possible resolutions. You need a trusted Lakewood personal injury lawyer at Bell & Pollock, P.C. For more than 30 years, our attorneys have been providing superb representation to the people hurt by others’ negligence – regardless of whether they are harmed on the roads, at work, in nursing homes or anywhere else. We know how difficult serious injuries can be and how critical financial recoveries are to helping the injured and their families put their lives back together. That is why we are relentlessly dedicated to championing our clients’ rights as we help them obtain full compensation for their suffering, injuries and losses. At Bell & Pollock, P.C., our lawyers provide tireless, aggressive advocacy for various types of personal injury matters, like (but not limited to) cases involving the following types of accidents and incidents. 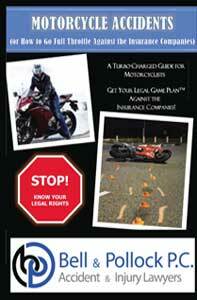 We know that compensation may never reverse the profound, lasting impacts of personal injuries. We also know that financial recoveries can be the key to healing and rebuilding lives. As the dust settles after a wreck, your actions – or inactions – can make a difference in fault determinations and a future claim. In fact, if you make certain mistakes after a crash, you may weaken your case, reduce the compensation you’re entitled to or possibly even preclude your options for recovery. • Do NOT leave the scene or avoid calling police. • Do NOT admit fault or apologize for the crash. 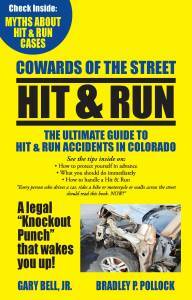 • Do NOT forget to take pictures of the accident scene and damage. • Do NOT avoid getting medical care. 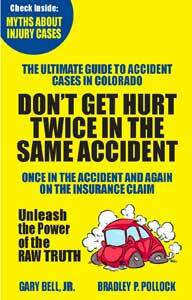 • Do NOT trust the insurance companies to be on your side, looking out for you. As you move forward to file a claim, the single best thing you can do is to contact and retain an experienced Lakewood car crash lawyer at Bell & Pollock, P.C. Our attorneys can guide you past the challenging legal potholes, helping you take the right steps at every phase in order to set your claim up for success and the maximum compensation. It can be difficult to know who’s at liable for a truck wreck. One reason is that multiple factors – including some that may not be immediately obvious at the accident scene – can play a causal role in truck crashes. Another reason is that injuries, as well as the shock of the accident, can make it challenging to gather all of the evidence needed to determine who’s at fault. Those responsible for building and maintaining safe roads (when dangerous road conditions contributed to wrecks). Seek the full compensation to which you are entitled. We are highly effective at going up against motor carriers, insurance companies and others, and we will never back down until our clients are able to obtain the resolutions and recoveries they deserve. Colorado has a “no fault” workers’ compensation system, meaning that employees of insured employers can be entitled to workers’ compensation benefits even if the employees may have caused or played a role in causing their own on-the-job injuries. The tradeoff for this no-fault system is that injured workers will generally not be able to sue their employers for work-related accidents. Workers’ compensation claim through your employer’s workers’ compensation insurance provider – This can yield benefits like temporary partial or total disability benefits, as well as permanent partial or total disability benefits. Personal injury claim against a third party – For example, if the negligence of a contractor or subcontractor contributed to your injuries, you can pursue claims against these negligent third parties. Similarly, you may be able to file claims against product or equipment manufacturers when their faulty or dangerous equipment causes workplace accidents. Bell & Pollock, P.C. can help you determine and successfully pursue all of the remedies available to you so you can seek full compensation. Stay calm and try not to lose your temper. Talk to the facility’s staff, asking questions about the injuries or red flags you have noticed. Take your own notes and keep records. Document the dates you started noticing warning signs (and what you noticed); also record when you spoke to staff and the outcome of those conversations. Keep any notes, correspondence, policy documents, bills or other records you get from the facility. Take pictures of any visible injuries, as well as of the room and the facility, especially if it’s not clean, doesn’t appear to be secure, etc. Call police if your loved one is in any immediate danger. 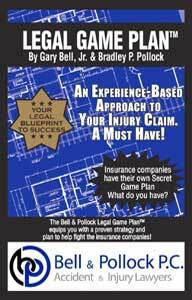 Talk to an attorney at Bell & Pollock, P.C. to find out more about your potential nursing home abuse claim. 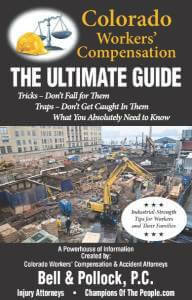 Set your case up success and the maximum available compensation. We are fully aware that wrongful death cases and compensation will not change the past or bring your loved one back. We also know that these claims and recoveries can empower surviving loved ones by giving them the justice and financial recoveries they deserve. After an accident causes you harm, focus on healing and let a trusted Lakewood personal injury lawyer at Bell & Pollock, P.C. focus on helping you financially recover. To find out more about your legal options and how we can help you, contact us for a free, confidential, no obligations consultation. Since 1984, the lawyers at Bell & Pollock, P.C. have been championing the rights of those harmed by negligence. We know how to stand up to any opponent in or outside the courtroom, and we won’t rest until our clients obtain the compensation, justice and outcomes they deserve. Our long-standing record of success is backed up by glowing testimonials from past clients. Lakewood is unique, thriving community that boasts a population well over 142,000 people, making it the 5th most populous city in Colorado. Known for its robust and diverse economy, Lakewood is home to beautiful parks, renowned cultural centers and much more. Here is additional operational information for the Jefferson County Court. The Lakewood personal injury lawyers at Bell & Pollock, P.C. can help you successfully navigate the road to recovery in (and outside) of the Jefferson County Court. We are ready to provide you with the guidance, advocacy and legal support you need to position your case for an optimal outcome and recovery.